Duplicate photo finder is one tool that is an immense help to all people who have passion towards photography, be that an amateur or professional photographer. The major benefits of this software are available for free and listed below,but to have an ultimate experience with special benefits you can upgrade anytime. 5 key benefits of free duplicate photo finder for photographers! You can search ‘n’ number of folders for photos that are cloned.And, the best part of searching pictures is that you can command the software to search files by name, size, date and extension. How helpful is that! After every search the software informs you about the number of duplicates found and how much storage space can be saved or to say how much precious space the extra copies of files have taken. This feature of duplicate file finder is a total life saver for photographers as unlike others this utility tool previews the photo files. 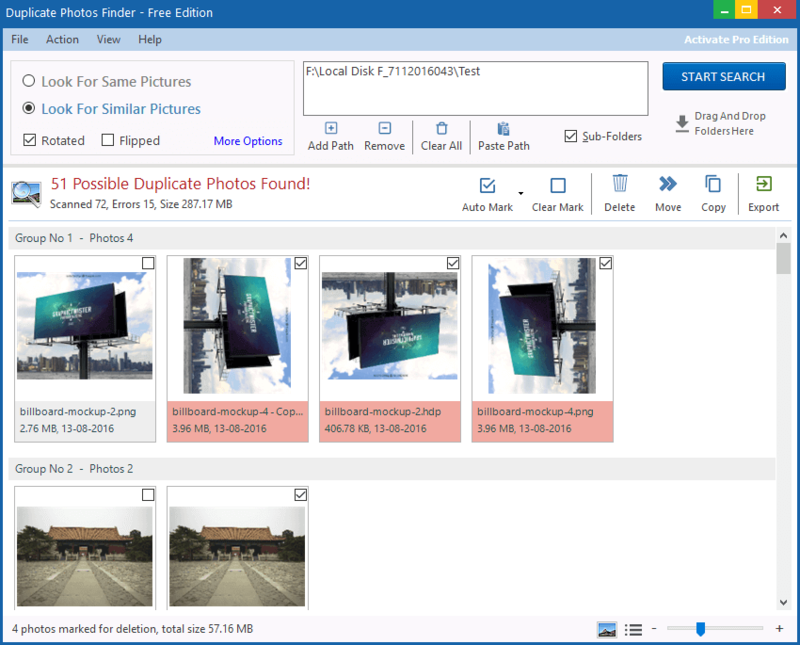 This virtual feature lets you see which pictures are extra or duplicate before taking further action.There is lesser risk of you losing files that are important. The search only shows you the files and their duplicates and this can be too tiring especially if there is a huge amount of them.But no worries,this software lets you mark all the clone files in just one click.Time saving indeed! Once you have done your search be it by name,size,extension or date, and seen the results of that search, you can just click delete and gone are the unwanted pictures into the recycle bin. Also,you can delete them permanently from your PC too in just one click and enjoy other super benefits too, by activating upgraded version. From a photographers view point the above benefits are of great help and its all free. And, it is a highly recommended free utility tool and software for photographers of all kinds. You can check out more about the software on its official site. For in detail steps on how to use this software, read this guide post.